TRUSTEES' 2014 ANNUAL REPORT Download PDF version. We are pleased to share with you the 2014 Annual Report of the Turkish Cultural Foundation (TCF) and the progress we have made in our mission and programs in 2014. In 2014, TCF allocated a total of $1,389,758.54 to grants and operational and program disbursements to pursue its mission. Continuing to be the leading private grantmaker in the area of Turkish cultural preservation and promotion, TCF in 2014 provided a total of $350,011.31 in grants and fellowships to organizations and individuals. A major portion of the TCF grants underwrote cultural events, such as Turkish cultural and film festivals, workshops, exhibitions, concerts and other performances in the United States, which brought Turkish culture to tens of thousands of Americans. The Spotlight on Turkey program continued to be one of TCF’s flagship programs. Organized in partnership with the World Affairs Councils of America (WACA), the program runs a full calendar year. Under the 2014 program, TCF and local WACA chapters organized 10 Teacher Workshops on Turkey with the participation of 277 teachers, creating a student impact of over 18,000. 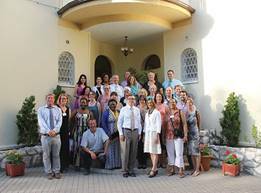 As part of the second phase of the program, TCF took 48 American teachers on two Teacher Study Tours to Turkey, bringing the total number of the TCF Study Tours alumni to 527 educators from across the United States. In total, since this program’s inception in 2007, nearly 3,300 American teachers and an estimated 348,000 students benefited from the Spotlight on Turkey program. The TCF Culinary Arts Center (YESAM) and the TCF Cultural Heritage Preservation and Natural Dyes Laboratory (DATU) in İstanbul have matured into leading resources on Turkey’s culinary and textile heritage. DATU and YESAM scholars work year-round to advance the cultural preservation and public education missions of TCF through research, publications, seminars and collaborations with other institutions. A significant part of DATU’s work is dedicated to helping cultural institutions conserve and restore historical artifacts. In 2014, DATU provided pro bono analytical services to 15 institutions in Turkey, the United States and Azerbaijan. Under the TCF Lecture Series, a total of 19 lectures on Turkish culture, art and cuisine took place at the TCF İstanbul branch office and the TCF Culinary Arts Center with a total participation of over 600. The lecture videos, made available on the TCF Video Gallery, were viewed nearly 7,300 times by visitors from all over the world. In addition, TCF scholars participated in international conferences, workshops and other events throughout the year and shared their knowledge with audiences across the world. Two TCF Fellowship programs help build artistic, cultural and scholarly exchanges across the globe. Combined, the TCF Fellowship in Turkish Culture and Art and the TCF Cultural Exchange Fellowship have provided funding to 148 culture professionals, including musicians, visual and performing artists, writers, curators, scholars and many others. 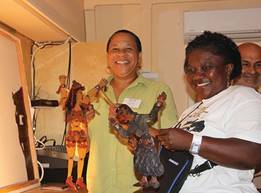 In 2014 alone, 40 individuals benefitted from these fellowships to participate in a variety of cultural and artistic showcases and academic events. 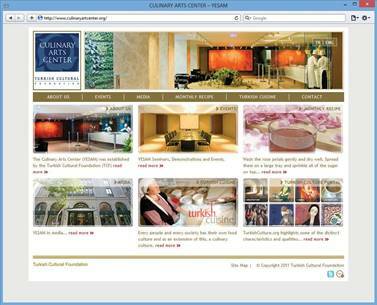 The TCF Portals continued to provide a gateway to learn more about Turkish culture, music and cuisine. They were visited by over 3.5 million people from 215 countries and regions in 2014, spreading knowledge about Turkey’s cultural heritage. 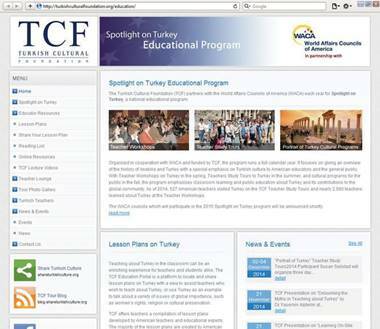 A new website, the TCF Education Portal, was launched in 2014 with a view to providing an online resource for educators who wish to teach about Turkey. The following chart provides an overview on how TCF funds were allocated in 2014. For a full listing of all Foundation grants please visit here. TCF aims to disseminate knowledge about the rich cultural, artistic and culinary heritage of Turkey through the TCF Lecture Series. Turkish and English lectures take place at the TCF İstanbul office from October through May and year-round at the TCF Culinary Arts Center-YESAM at the ARMAGGAN store in Nuruosmaniye, İstanbul. TCF also sponsors the participation of its Resident Scholars and other experts in events, sharing their knowledge with diverse audiences worldwide. 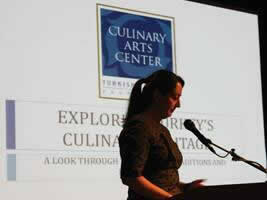 In 2014, the TCF Lecture Series featured 19 lectures on various topics related to Turkish culture and cuisine. A total of 607 participants attended these events. In 2014, the TCF İstanbul office hosted 9 lectures, which were attended by 237 participants. The TCF lectures reach an even wider audience through the TCF Video Gallery, where they were viewed 7,294 times in 2014 by people from all over the world. TCF works to advance knowledge and scholarship on Turkish culture and art through the active participation of its scholars in relevant scientific conferences and other forums. In 2014, TCF scholars attended events in the U.S., Europe, Japan and in Turkey, presenting their research and the work of TCF to diverse audiences. 33rd Annual Dyes in History and Archaeology Conference at the University of Glasgow with three poster presentations. Finally, Dr. Karadağ presented a paper on “Non-destructive Micro-analytical Methods for the Conservation of Textiles from Cultural Heritage” at the 19th International Conference on Cultural Heritage and New Technologies in Vienna. Austria. Dr. Sumiyo Okumura, TCF Art Historian, gave a lecture on “The Art of the Turkish Carpet” at the École des Hautes Études en Sciences Sociales in Paris. 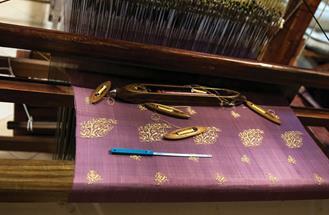 Dr. Okumura also presented two lectures on “The Art of Turkish Carpets” in Japan, at Konan University and Tokyo University of Foreign Studies. Emine Torgan, an expert at the TCF Cultural Heritage Preservation and Natural Dyes Laboratory-DATU spoke on “Reviving Natural Dyes” at Arel University in İstanbul. She gave a presentation on “Identification by SEM-EDX Analyses of Ceramics Fund in the Roma Theatre Excavation in Ankara-Turkey” at the 9th International Symposium on the Conservation of Monuments in the Mediterranean Basin in Ankara, Turkey. Ms. Torgan also presented on the subject of “Determination of Antimicrobial Activity of Dyed Silk Fabrics with Natural Dyes” at the 6th International İstanbul Textile Conference at Marmara University in İstanbul. In 2014, TCF expanded its outreach to educators by launching the TCF Education Portal, which is designed to provide educators worldwide easy and free access to Lesson Plans and other educational resources on Turkey. In addition to featuring lesson plans developed by teachers who participate in the TCF Teacher Study Tours to Turkey, the portal allows others to share lesson plans on Turkey through the Share Your Lesson Plan dropbox. The portal also functions as a platform for participants of the Spotlight on Turkey program, featuring a Teacher Lounge, which is open to TCF Study Tour teachers, past and present. In 2014, the Spotlight on Turkey program was undertaken by TCF and 10 local chapters of WACA in the following cities and regions: Las Vegas (Nevada), Denver (Colorado), St. Louis (Missouri), Dayton (Ohio), Minnesota, Montana, Santa Fe (New Mexico), Seattle (Washington), Washington, D.C. and Northwest Ohio. As part of the Spotlight on Turkey program, TCF sponsored and helped organize 10 Teacher Workshops on Turkey in 2014. Organized by the participating WACA councils across the U.S., the workshops were attended by 277 teachers from nearly 150 schools. 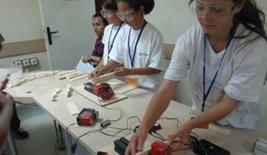 The estimated student impact of the workshops nationwide was over 18,000. The total number of teachers who have attended the TCF-WACA Teacher Workshops on Turkey since 2007 reached nearly 3,280 in 2014 with an estimated reach of 348,000 students across America. 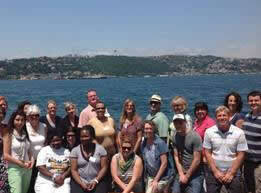 TCF organized and sponsored two Teacher Study Tours in the summer of 2014, introducing 48 American teachers to Turkey. Since the program’s inception in 2007, TCF has hosted 527 educators on these tours. The final tier of the Spotlight on Turkey Program, Portrait of Turkey, features public educational and cultural programs. 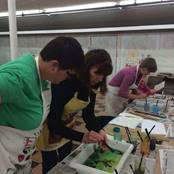 Organized by participating WACA chapters with support from a TCF grant, this program engages teachers who return from the TCF Teacher Study Tours in creative ways. The goal of this segment of the Spotlight on Turkey program is to bring Turkey to local communities and especially students in the region of each participating council. The 10 participating WACA chapters in 2014 highlighted Turkey in a series of events, ranging from lectures on Turkey by scholars, diplomats and teachers returning from the 2014 TCF Study Tours to cultural seminars and culinary events. Over 400 people participated in these events. TCF also reached out to hundreds of social studies teachers and administrators by participating in the 94th National Council for Social Studies Conference in Boston on November 21-23. TCF promoted both Turkey and TCF educational initiatives and resources at the event, particularly the Spotlight on Turkey program with presentations on “Learning On-Site: Turkey as a Study Tour Destination” by Meltem Dunn, TCF Program Coordinator, and “Debunking the Myths in Teaching about Turkey” by Dr. Yasemin Alptekin, Education Expert. 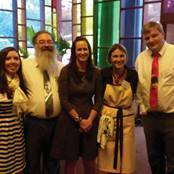 The TCF presentation also included the screening of Broad Horizons, a documentary on the TCF Teacher Study Tours. TCF and its programs received broad media coverage in 2014 and appeared in U.S. and Turkish media outlets more than 80 times. In 2014, TCF continued to grow its social media presence. The organization expanded its robust content strategy, highlighting the rich cultural knowledge found on TCF Portals, as well as providing regular updates on TCF-sponsored events and programs. Through social media, TCF presented this content in a way that encouraged engagement and increased the organization’s reach. Over the course of the year, the organization’s Facebook audience grew steadily, expanding by 67 percent, while its Twitter audience grew by more than 75 percent. 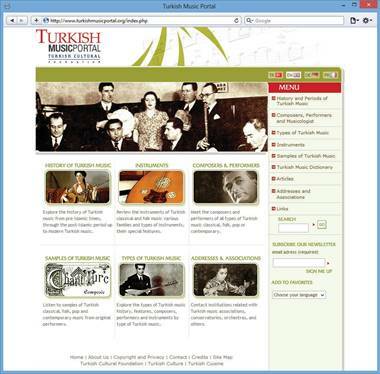 The TCF online portals continued to be major publicly available resources to learn more about Turkish culture, music, cuisine and education. They were visited by over 3.5 million people from 215 countries and regions in 2014, spreading knowledge on Turkey’s cultural heritage. 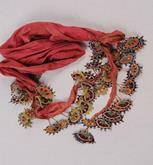 One of TCF’s pillars is spearheading and supporting projects that preserve the cultural heritage of Turkey. Progress was made on several existing TCF programs in this area and new projects came to fruition in 2014. Located in İstanbul, on the 4th Floor of the ARMAGGAN store in Nuruosmaniye, the mission of the TCF Culinary Arts Center-Yemek Sanatları Merkezi-YESAM is to help preserve and enhance knowledge of Turkey’s past and present culinary traditions through research and education. To this end, YESAM works to record foods, tangible and intangible food-related traditions in Turkey, as well as regions with which Turkey shares cultural and historical ties. It also works to develop educational models through theoretical and applied methods to pass Turkey’s culinary heritage to future generations. YESAM also promotes Turkish cuisine to international gastronomical circles and the general public. In 2014, YESAM was recognized for its contributions to preserving Turkey’s culinary heritage and received the Ateşbaz-ı Veli Culinary Culture Award. The award was established by the Anatolian Folk Kitchen Association in cooperation with Selçuk University, the Ministry of Culture and Tourism and the province of Konya to recognize individuals and organizations for their efforts to promote Turkish cuisine inside and outside of Turkey. It takes its name from Ateşbaz-ı Veli, the chef of Mevlana Celaleddin Rumi, and an important figure in Sufism. The only chef to have a tomb built in his name, his tomb in Konya is a pilgrimage site for chefs and cooks. Banu Özden, YESAM Project Executive, accepted the award at a ceremony in Konya. YESAM organized two culinary tours in 2014. 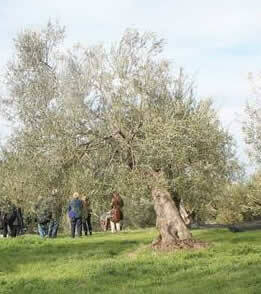 On November 7-9, YESAM took a group of food enthusiasts to Ayvalık for a tour on olive and olive oil culture in the Western Anatolian region. 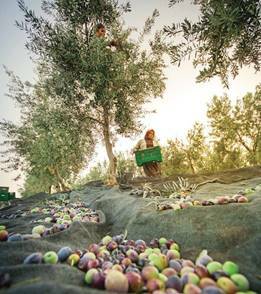 The group, guided by author and food culture researcher Nedim Atilla, had a chance to meet olive growers, harvest workers, olive oil producers, and a world champion olive oil taster, Selin Ertür. 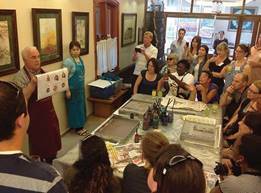 Since 2012, YESAM has held a year-round lecture series on Turkish cuisine. In addition to presentations by Turkish culinary experts, the lecture program is accompanied by food tastings offered by NAR Restaurant. The seminars are free and open to the public. Throughout 2014, YESAM hosted a total of 10 lectures that were attended by 370 participants. The lectures are also recorded and presented for online viewing on the TCF Video Gallery. Aylin Öney Tan; food writer & columnist; occasional YESAM lecturer. In 2010, TCF partnered with ARMAGGAN to inaugurate the Cultural Heritage Preservation and Natural Dyes Laboratory – DATU in İstanbul. 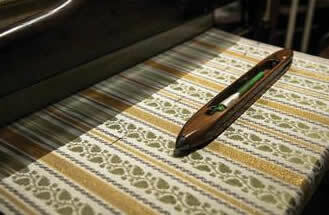 The mission of DATU is to help preserve and promote Turkey’s textile heritage through research and development. DATU also contributes to the redevelopment of the natural dye production process by creating a scientific inventory of natural dyes, as well as by spreading the use of natural dyes in contemporary textile production. DATU holds the richest collection of natural dye materials and has become one of the world’s most advanced laboratories on natural dyes, making significant contributions to cultural preservation and documentation in textile arts. Since its establishment, DATU has provided free analytical services to leading museums in Turkey and in other countries, assisting preservation and conservation efforts. In 2014, DATU provided such services to 15 institutions, conducting 272 dye analyses, 98 metal thread analyses, 117 color measurements and 12 microscopic measurements for a total of 499 analytical processes. These institutions include the Weaving Art Museum (U.S) and the Isparta Museum, Hatice Sultan Tomb, Haci Bektasi Veli Museum, Cumhuriyet Museum, İzmir Museum, Rumeli Hisar Museum, İstanbul Harbiye Military Museum and the Topkapi Palace Museum in Turkey. DATU also assisted various archaeological projects, analyzing excavated artifacts from ancient sites, including the Van Ayamis, Daskyleion and Seyitömer Mound excavations in Turkey and excavations in Nakhchivan, Azerbaijan. The DATU analyses helped correctly date artifacts and offered guidance as to the best conservation and restoration methods and procedures. Many of these services were provided under a protocol signed in 2014 between TCF and the İstanbul Restoration and Conservation Laboratory which designated DATU as a partner in the preservation and restoration work provided by this laboratory to museums and other state cultural institutions in Turkey. Among the highlights of the TCF-DATU scientific team’s work in 2014 was the assistance provided to guide the restoration of a historical sanjak- a military flag. Reportedly, the flag was woven by girls of the Şahnalı village in the Afyon province 135 years ago and was given to 21 young men who enlisted in the Ottoman army prior to the 1877-1878 wars with Russia. Only two of those soldiers survived the war, but one died on the journey home. The sole survivor brought the military flag to a village, where it had been safeguarded in the village mosque ever since. 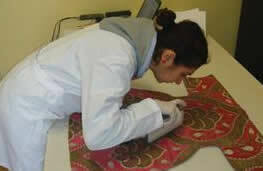 In addition to providing analytical services, DATU also helped conduct the flag’s restoration process. Another important analysis conducted by the DATU team was the examination of two different samples of a metal chain that was part of the holdings of the Rumeli Hisarı Museum. 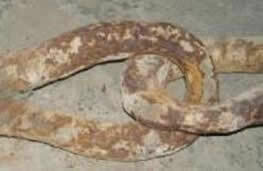 The chain was believed to have been used during the siege of Constantinople and DATU analysis on the samples pointed to a date that corresponded with the siege. “Thanks to the dye analysis and natural dyeing applications provided by DATU for the textiles in the care of the Military Museum and Cultural Site Command, we have been able to apply scientifically sound restoration and conservation methods on our textiles. “The İstanbul Restoration and Conservation Central Laboratory has been tasked since 1985 with preserving and restoring the thousands of artifacts in the holdings of the Ministry of Culture’s museums. In order to perform our work in line with accepted international standards, we require each artifact to first be properly analyzed and identified. Especially in the case of the textile conservation atelier, the first and most important step in the conservation process is to advise our experts on the dyes and structure of the textile. For this reason, we decided to establish a partnership with DATU and Prof. Dr. Recep Karadağ and his team in 2013, which has already yielded successful results. We commend the establishment of the Cultural Heritage Preservation and Natural Dyes Research Laboratory, a first in Turkey, by the Turkish Cultural Foundation and the support given by ARMAGGAN to this project. The ability to benefit from DATU experts and the laboratory’s capabilities under a standing protocol guided our work on the conservation, restoration, dating and analysis of cultural assets, the assessment of their deterioration and the creation of correct inventories. In the process, our experts also gained new insights and experience about the use of these analytical methods. In 2014 alone, the oya project produced and procured 7,124 pieces – more than 3 miles - of oya created by homemakers. DATU collaborated in this project with the Ministry of Culture and Tourism to organize workshops for local women with a view to improving the quality and enhancing capacity for handmade local crafts. The DATU-ARMAGGAN oya project worked with women in İstanbul, Elazığ, Giresun, Rize, Bursa, Kütahya, Tekirdağ, Mersin, Geyve and Nallıhan. 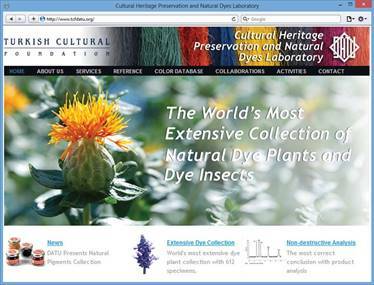 In 2014, DATU provided such services to 19 museums, conducting 323 dye analyses, 103 metal thread analyses, 10 color measurements and 36 microscopic measurements for a total of 472 analytical processes. 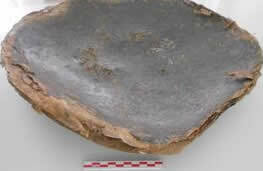 The DATU analyses helped correctly date artifacts and offered guidance as to the best methods and procedures for restoration. 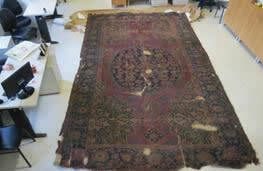 TCF-DATU also provided scientific support to the subsequent restoration of many of the artifacts it analyzed, including the coloring of fabric to be used in the restoration. In line with international restoration standards, DATU customized and applied the dyeing process specifically for each fabric to be used in the restoration. 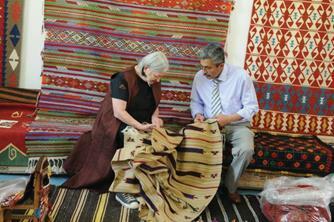 The kilim project continued the production of an Anatolian kilim collection. More than 50 women were trained and employed as part of this project, which took place in partnership with the Osmaniye Public Education Center and the Karatepe Kilim Cooperative in the Osmaniye province and the Van Kilim Works Atelier. ARMAGGAN and TCF-DATU collaborated on the designs, natural dyeing and weaving processes of the kilims, which were woven on traditional looms using wool, silk, and linen yarns. 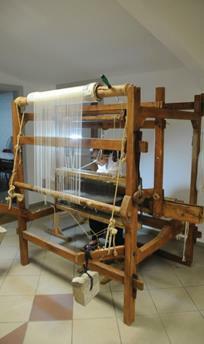 100-year-old loom was found in the attic of a house in the Çataklı village of Şile and was made functional after extensive repairs and reconstruction. TCF continued to expand the Who’s Who in Turkish Culture and Art online database, which features living Turkish artists, artisans and experts. 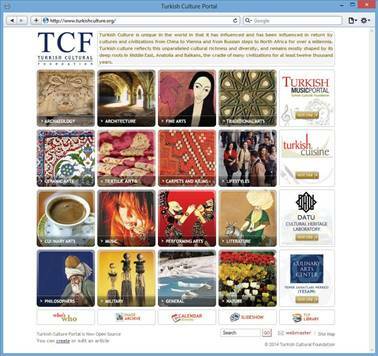 Accessible from the TCF Turkish Culture Portal, the database reached over 3,000 artist entries in 2014. The goal of the project is to help identify and recognize practitioners of Turkish traditional and modern arts and to help to promote Turkish artists worldwide. The project also enables people of common interests to connect and collaborate on artistic and cultural projects. Who’s Who in Turkish Culture and Art is organized under various categories such as Visual Arts, Turkish Traditional Arts, Applied Arts, Literature, Music, Theater, Movie, Documentary and TV, Dance and Ballet, Academics, Fashion Design, Restoration and Conservation. In 2014, TCF continued to support the Eyüp Music Foundation, one of İstanbul’s oldest musical societies. TCF’s support provides music education to children who are unable to pursue it formally and underwrites the Foundation’s concert program. In 2014, the TCF grant underwrote a concert by Neveser Kökdeş and Muhlis Sabahattin Ezgi, a renowned composer of Turkish classical music. 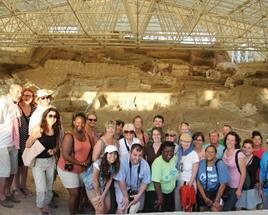 2014 TCF Teacher Study Tour visiting Çatalhöyük. The Turkish Cultural Foundation (TCF) provided a matching grant challenge in support of research and preservation efforts at the Neolithic site of Çatalhöyük in Turkey. TCF has designated the archaeological site of Çatalhöyük as a grassroots education and donation project to raise awareness in the U.S. about the importance of this site to the history of Anatolia and mankind and to help raise funds for its preservation. The Çatalhöyük excavation received significant multi-year funding from TCF under the TCF Turkish Cultural Heritage Programs. TCF funding helped build a shelter to protect the excavation site, establish walkways, panels and signage to enhance the site’s visitor experience, and provide training to conservation students and members of the local community. 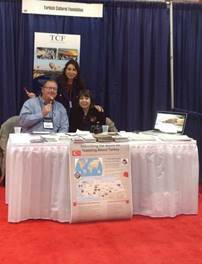 Participants in the 2014 TCF Teacher Study Tours spearheaded student awareness projects on Çatalhöyük and raised funds for the site. 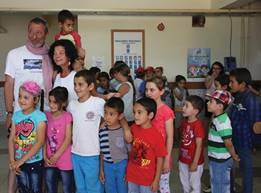 TCF matched the donations raised by the teachers for Çatalhöyük in 2014 and will continue to do so until the end of 2015. TCF continued its patronage of a multi-year, multi-disciplinary research and documentation project on Turkish music. 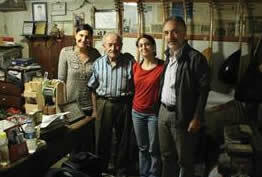 The second phase of the project consisted of the creation of a Turkish Folk Music Dictionary. It was published in December 2014 as a result of a five-year research project led by Dr. Melih Duygulu, musicologist and Chair of the Ethnomusicology Department at Mimar Sinan Fine Arts University in İstanbul. Building on his long-standing academic work in this area, from 2009-2014 Dr. Duygulu and his team conducted a series of field studies all around Turkey, collecting over 3,000 Turkish folk music terms in 68 provinces, 210 counties, 1000 villages and through interviews with nearly 2,000 sources. In addition to being the most comprehensive source on Turkish folk music terms, the dictionary also carries special value for Turkish language studies. The Turkish Folk Music Dictionary is the latest of a series of projects in the area of Turkish music studies brought to life by the Turkish Cultural Foundation in collaboration with Dr. Duygulu. They include the TCF Turkish Music Portal, available in English, French, German and the Turkish Music Dictionary, the broadest English-Turkish dictionary on musical terms, made available online on the TCF portals. TCF also sponsored the distribution of the Turkish Folk Music Dictionary to over 150 institutions, including university libraries, Musicology and Turkology departments and leading music scholars in Turkey and across the world. Since its founding in 2000, the Turkish Cultural Foundation has made significant contributions to advancing knowledge of Turkish culture and art, as well as Turkish language studies through its support of academic institutions and individual scholars. Since its launch, 77 scholars have been awarded the TCF Fellowship in Turkish Culture and Art, including 9 scholars who received the Fellowship in 2014. Deniz Balkan, Restorator, Topkapı Palace Museum. “The Restoration Work of the Hünkar Sofası at the Topkapı Palace Museum in 2010-2013” (Hünkar Sofası’ndaki 2010-2013 Yılları arasında Restorasyon Çalışmaları ve Yapılan İmalatlar sırasında ortaya çıkan yeni buluntular); II. International Turkic Arts, History and Folklore Congress, Skopje, Macedonia. Dr. Canan Cimilli, Curator of the Harem Section, Topkapı Palace Museum. “Education and Women’s life in the Harem of the Topkapı Palace through graffiti on Walls” (Topkapı Sarayı Harem Dairesi’nde Duvar Yazıları ile Harem Dairesi’ndeki Eğitim ve Kadınların Yaşamı Üzerine); II. International Turkic Arts, History and Folklore Congress, Skopje, Macedonia. Kate Clow, Chairwoman of Culture Routes in Turkey. “St. Paul Trail”; European Pilgrimage Routes for Promoting Sustainable and Quality Tourism in Rural Areas, Florence, Italy. Mesut Dinler, Graduate Intern,The Getty Conservation Institute. “A Site That Has Been Rearranged and Then Rehabilitated and Then Renewed: Major Urban Interventions on Fener and Balat Districts”; 21st International Seminar on Urban Form - ISUF 2014, Port, Portugal. Hüseyin Eryurt, Coordinator of Culture Routes in Turkey. “The Evliya Çelebi Way”; European Pilgrimage Routes for Promoting Sustainable and Quality Tourism in Rural Areas, Florence, Italy. Serkan Gedük, Art Historian, Restorator, and Curator of the Section of Chinese and Japanese Porcelain, Topkapı Palace Museum “Turkish Ornaments on Chinese porcelain”; II. International Turkic Arts, History and Folklore Congress, Skopje, Macedonia. Dr. Muzaffer Özgüleş, Teaching staff member, Department of Architectural Conservation at Plato Higher Education College, İstanbul. “Osmanlı Hareminin En Çok Gezen Kadını: Gülnuş Sultan (The Most Travelling Woman of the Ottoman Harem: Gülnuş Sultan and Her Legacy)”; International Symposium “Writing Women’s Lives: Auto/ Biography, Life Narratives, Myths and Historiography”, İstanbul, Turkey. 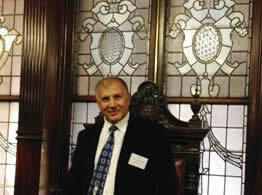 Dr. Emrah Şahin, Turkish Studies Coordinator and Lecturer, University of Florida. “Sultan’s America: Lessons from Ottoman Encounters with the United States”; published in Journal of American Studies of Turkey. Susanne Masters, Ph.D. candidate in Ethnobiology, University of Kent. “Collectors and Collected: Edible Orchids in Turkey”; 14th International Society of Ethnobiology Congress “Chir Nor Zom Bu Ling -One Earth for All: Regenerating Biocultural Ecosystem Resilience,” Lamai Gompa, Bhutan. In 2010, TCF awarded a five-year grant to the Ottoman Studies Foundation, a U.S. non-profit organization established in 1996. The TCF grant supports the Ottoman Studies Foundation’s Intensive Ottoman and Turkish Summer School (IOTSS) held every year at the Sevgi Doğan Gönül Ottoman Research Building in Cunda, Turkey. The school provides proficiency- based instruction in reading and translating Ottoman Turkish texts in both manuscript and printed forms. The IOTSS is the only study abroad program that offers training in advanced level Ottoman Turkish paleography and language. The TCF grant provides funding for student scholarships and subsidizes faculty cost. From 2010 to 2014, a total of 102 students attended the IOTSS, 22 with TCF scholarship support. 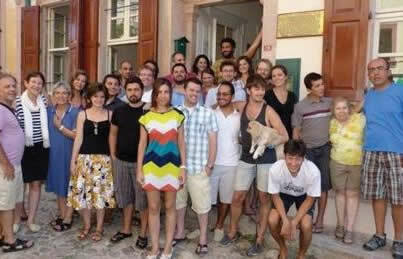 The 18th IOTSS session took place in Cunda from July 7 to August 15. This year, 22 students from sixteen European, U.S. and Turkish universities participated in the program. They were selected on the basis of their academic records, with particular attention to their backgrounds in the relevant languages besides Ottoman, namely Persian and Arabic. Students worked on a variety of topics from figural representation in Ottoman arts to Ottoman Safavid diplomacy in the 16th century and came from different disciplines ranging from art history to political science. As in previous years, two main classes, one on pre-modern writing styles, documents and manuscripts and the other on 19th century print texts and rik’a documents, was supplemented by Persian, Modern Turkish, Ottoman to English translation and Karamanlidika Turkish classes. The classes were taught by Prof. Selim Kuru (University of Washington), Dr. Yorgos Dedes (SOAS, University of London), Domenico Ingenito (UCLA), Dr. Evangelia Balta (National Hellenic Research Foundation), and Dr. Gregory Key (SUNY Binghamton). Each year, leading Ottomanists join the school to give lectures on various topics. 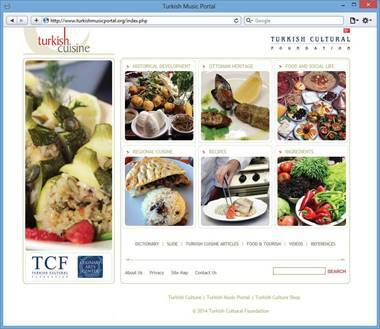 TCF gave a major grant to support the development and production of a documentary on İstanbul cuisine. The project was conceived and directed by Dr. Zeynep Kılıç, Assistant Professor of Sociology at University of Alaska Anchorage. Titled “Tables of İstanbul”, the documentary started filming in July 2014 and the expected date of release is 2016. Dr. Kılıç during interviews and filming in Istanbul. (r) With Vedat Başaran at NAR Restaurant. TCF awarded a third year major grant to the Ottoman Studies program at the National Hellenic Research Foundation in Athens, Greece. The TCF grant provides full funding to teach a course on Ottoman Language and Paleography at the Foundation. Nearly 150 students have participated in the first two years of the program, which was offered on the first and second levels. In 2014, the course was offered at the second and third levels and was taught by Dimitris Loupis (TCF Fellow in Turkish Culture and Art-2010), under the direction of Dr. Evangelia Balta, also a TCF Fellow and Research Director at the Insitute. A total of 51 students successfully completed the 2014 seminar. The seminar allowed students with historical, archaeological, architectural, linguistic, artistic and cultural interests to learn more about the Ottoman world through language. In addition to classes held at the National Hellenic Research Foundation, the seminar leaders organized various supplemental activities. 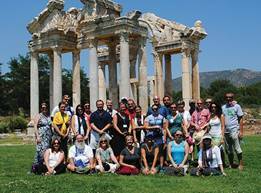 Students participated in guided educational tours to Greek cities with extant Ottoman monuments and inscriptions. In the 2014-2015 term, the students visited Chalcida and Corinth. 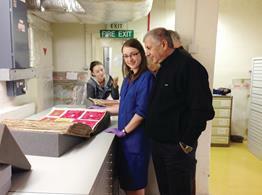 A tour to İstanbul took place in the summer of 2014, when the seminar visited archives, libraries and Ottoman sites. 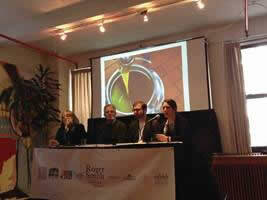 The seminar also facilitated the presentation of research papers and art by its students. The Lectureship is now held by Dr. Kağan Arık, a scholar with a long teaching experience in Modern Turkish Language and Literature, and a background in Central Asian Turkic Studies. During the 2013-2014 academic term, Dr. Arık taught courses in Elementary, Intermediate, and Advanced Turkish. Additionally, he developed new material on Intermediate Uzbek, Uzbek oral epic, and Chagatai texts. Dr. Arık also designed a new course in Elementary Kazakh, taught in the Winter and Spring Quarters 2014. Finally, he re-designed the coursework for Old and Middle Turkic in which students read some of the earliest known Turkish texts, such as the Kül Tigin, Bilge Kagan and Tonyukuk Inscriptions, the Old Uyghur Irk Bitig and the Karakhanid Kutadghu Bilig. In addition to his teaching, Dr. Arık continued to further the field through his publications and lectures, including a book and translation project, entitled “Maaday Kara: An Altaian Turkic Epic” and an additional book project, entitled “The Endless Migration: a Dialogic Ethnography of the Kazaks of Xinjiang.” Dr. Arık also advises the Turkish Circle, a student language and culture club that sponsors lectures, discussions, films and lunch hours, all of which are conducted in Turkish. In the 2014-2015 academic year, 123 students enrolled in the courses taught by Dr. Arık. Over the course of 15 years since the Ayaslı Lectureship was established, 1298 students enrolled in the Turkish language and related courses offered at the University of Chicago. TCF awarded the last of four annual grants to Stanford University to fulfill its commitment to support a full-time Lecturer position in Turkish Language and Literature at the university. Burcu Karahan Richardson, the lecturer and a recipient of the TCF Fellowship in Turkish Culture and Art, taught courses on Turkish Reading, Introductory Ottoman Turkish, and Advanced Turkish for Research. She also taught two courses on Turkish culture, in addition to a course titled “Contemporary Turkish Cinema” and another, “Society and İstanbul the Muse: The City in Literature and Film.” The courses were offered at the Mediterranean Studies Forum at Stanford University. TCF provided a major grant to İLKYAR Foundation, a Turkish NGO and recipient of previous TCF grants that organizes educational programs and aid campaigns that benefit schools in rural areas of Turkey. The TCF grant supported a Math & Science summer camp for elementary school students and teachers from regional boarding schools in Turkey. Every year, İLKYAR volunteers visit regional boarding schools in rural areas of Turkey, trying to inspire children to finish school and pursue university educations. The organization also helps establish libraries and playrooms in these schools and holds math and science competitions. The 9-day summer camps are designed for competitively selected 8th grade students and teachers teaching at the boarding schools and includes courses in math and science, hands-on research and art projects, as well as tours to important cultural and historical sites in Ankara. 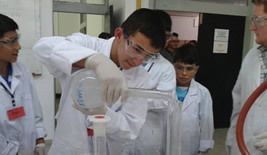 This year 137 students and 37 teachers participated in the 2014 summer camps, which were organized on the campuses of the Middle East Technical University in Ankara and Bosphorus University in İstanbul on June 18-25. Thus far over 1,200 students have participated in the camps. A multi-year grant recipient, the Glass Furnace Foundation (Cam Ocağı Vakfı) in İstanbul received TCF funds to provide scholarships to two young glass artists, Gözde Eşkazan and Liliya Pangelova. The scholarships underwrite the artists’ participation in the Foundation’s summer ateliers which feature world renowned glass artists. TCF awarded a grant to Humanities West, a San Francisco based organization that presents programs on the fine arts, social history, music, politics, and philosophy of the arts. 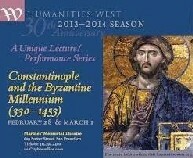 The TCF grant supported a series of lectures and performances under two programs organized by Humanities West. The first program, “Constantinople and the Byzantine Millennium”, took place from February 28-March 1; the second program, “Baghdad in its Golden Age,” took place on April 25-26. TCF provided a grant to Dr. Evangelia Balta, Research Director at the National Hellenic Research Institute to support the publication of conference proceedings on Karamanlidika studies, which center on the history of Turkish- speaking Orthodox subjects in the Ottoman Empire. The workshop had taken place in Üçhisar, Cappadocia, Turkey in late 2013 and brought together experts in the subjects with interested young and established scholars. 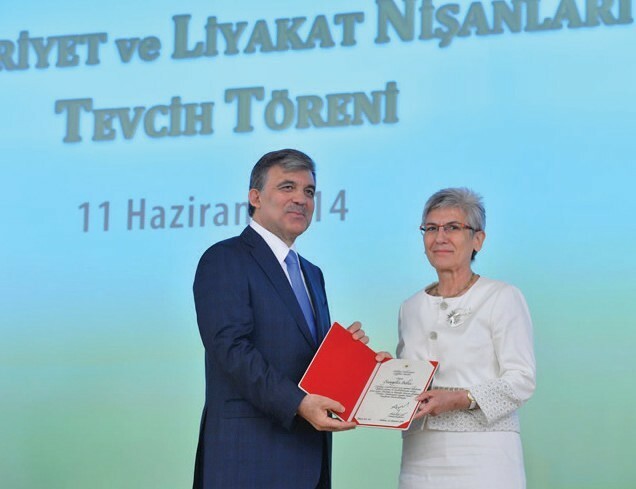 Dr. Balta, a TCF Fellow, was awarded the “Order of Merit” medal in 2014 by the President of the Republic of Turkey Abdullah Gül for her contributions to the field of Turkish cultural studies through her work on Karamanli history, culture and literature. The TCF Cultural Exchange Fellowship Program was launched in 2012 to support international exchanges between artists and professionals working in fields related to the arts and culture. The Fellowship is awarded competitively each year to Turkish and non-Turkish culture professionals to participate in exhibitions, festivals, concerts and other cultural projects and in artist residency programs. In 2014, TCF awarded 31 fellowships under its Cultural Exchange Fellowship Program, bringing the total number of Fellows to 71 since the program’s inception. Barış Can Aksakal, glass artist. “Glass Unlimited - Made in İstanbul” exhibition at the Glass Factory Museum in Boda, Sweden. Feraye Aysel Alver, sculptor. Artist Residency program at Amilly Ville des Arts School, Amilly, France. Sena Başöz, performance artist. Audio-visual performance collaboration project “Chromatophore” at the alpha nova kulturwerkstatt and galerie future, Berlin, Germany. Léa Bouchoucha, journalist. İstanbul Project, İstanbul, Turkey. Robin Cameron, ceramic artist. “Lower East Side in İstanbul (LESI): The Built Environment” international exhibition at Mixer Arts, İstanbul, Turkey. Zeynep Dadak, filmmaker and film critic. Premier of her film “Mavi Dalga / The Blue Wave” at the 15th Jeonju International Film Festival, Seoul, Korea. Özgür Demirci, visual artist. Exhibited at the 10th Contemporary Art Festival “Night of Museums and Galleries,” Plovdiv, Bulgaria. Anna K Edzgveradze, contemporary artist. “Lower East Side in İstanbul (LESI): The Built Environment” international exhibition at Mixer Arts, İstanbul, Turkey. Anıl Eraslan, cellist, composer, improviser and photographer. 2014 OMI residency program at the OMI Arts Center, Ghent, USA. Manasi Ghanekar, dancer. Dance Residency Program at the Department of Turkish Folk Dance in the Turkish Music State Conservatory at Ege University, İzmir, Turkey. Özlem Uzun Hazneci, painter. Collaborative event of Turkish art, music, dance, and poetry with organ music of J.S. Bach, performed in Minnesota, Illinois and Oklahoma, U.S.
Hale Hendekcigil, glass artist. “Glass Unlimited - Made in İstanbul” exhibition at the Glass Factory Museum in Boda, Sweden. Caner Karavit, Professor at Mimar Sinan University. Research visit on traditional Chinese paintings in Beijing, China. İdil Kemer, dancer. danceWEB Europe Scholarship Residency Program for Contemporary Dance and Performance, Vienna, Austria. Mehmet Kömürcü, glassblowing master. “Glass Unlimited - Made in İstanbul” exhibition at the Glass Factory Museum in Boda, Sweden. İpek Kotan, ceramic artist. International BASEhabitat Summer School 2014, Linz, Austria. renna MacCrimmon, musician and artist. Research visit to İstanbul and Bursa, Turkey to learn about aspects of Turkish visual and musical culture. Kathleen Madden, curator. “Lower East Side in İstanbul (LESI): The Built Environment” international exhibition at Mixer Arts, İstanbul, Turkey. 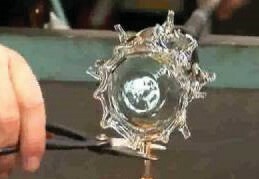 Ahmet Özdeniz, glassblowing master. “Glass Unlimited - Made in İstanbul” exhibition at the Glass Factory Museum in Boda, Sweden. irin Pancaroğlu, harpist. 12th World Harp Congress, Sydney, Australia. Ece Pazarbaşı, artistic researcher and independent curator. “4+1 Agents for Architectonics” exhibition at the Festival of Future Now Berlin, Germany. Sümer Sayın, contemporary artist. 10th Contemporary Art Festival “Nights of Museums and Galleries,” Plovdiv, Bulgaria. Ufuk Şenel, dancer. danceWEB Europe Scholarship Residency Program for Contemporary Dance and Performance Vienna, Austria. Tayfun Serttaş, installation artist. Artist residency program and exhibition project “We All Live on the Same Sea” at the Cobh Cork, Ireland. Carol Shymanski, contemporary artist. “Lower East Side in İstanbul (LESI): The Built Environment” international exhibition at Mixer Arts, İstanbul, Turkey. Jerome Symons, sculptor. Taught course on Public Art at the Department of Fine Arts of Muğla Sıtkı Koçman University, Bodrum, Turkey. James Thurman, glass artist and designer. 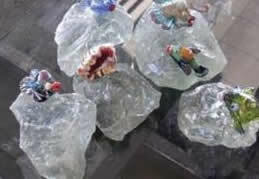 Glass Art Residency program at the Glass Furnace Foundation, İstanbul, Turkey. Josh Tonsfeldt, contemporary artist. “Lower East Side in İstanbul (LESI): The Built Environment” international exhibition at Mixer Arts, İstanbul, Turkey. Hakan Ulus, composer. Harvard Summer Composition Institute Residency 2014, Cambridge, USA. Deniz Üster, installation and video artist. Artist Residency program at the Sirius Art Centre, Cobh Cork, Ireland. Dr. Enno Voorhorst, classical guitar virtuoso. Taught master classes at the International Guitar Days 2014, Izmir, Turkey. Zeynep Dadak, Filmmaker and film critic. James Thurman, glass artist and designer. Deniz Üster, installation and video artist. In 2014, TCF supported leading Turkish cultural and film festivals in Boston, Charlotte, Houston and Seattle, helping to bring Turkish music, art, culture and cuisine to thousands of Americans. The 19th Boston Turkish Arts and Culture Festival took place under the theme “Colors of Anatolia” which was supported by a Turkish Cultural Foundation grant. The festival began on Turkish Republic Day, October 29 and ran through December 15. Organized by the Turkish American Cultural Society of New England, the festival reflected the diversity and richness of the Turkish culture and ranged from exhibits, concerts, culinary events, workshops, and gastronomic presentations to the Documentary and Short Film Competition. Promoting Turkish cinema in the United States remained on TCF’s cultural agenda in 2014. The Foundation once again became the main sponsor of the 13th Boston Turkish Film & Music Festival, co-presented with the Museum of Fine Arts Boston and the Goethe Institute and organized by the Turkish American Cultural Society of New England. TCF provided a major grant to the American Turkish Society’s Moon and Stars Project, underwriting the 13th New York Turkish Film Festival. The Festival took place on May 16-25 and featured seven Turkish films, a Short Film Collection and Documentaries. TCF has supported the expansion of the New York Turkish Film Festival to other U.S. cities since 2007, which resulted in the launch of Turkish film festivals in Seattle, Chicago, Madison and Milwaukee. The Turkish Cultural Foundation was the main sponsor of the 4th Turkish Festival of Charlotte. This year’s festival featured Turkish foods, cooking classes, arts and percussion workshops. The grant given by TCF also allowed for tourism presentations and activities aimed at younger children. The goal of this festival was to foster understanding and cooperation in the community by educating, entertaining and engaging guests. The festival took place on October 25. For the first time, TCF provided a grant to the Museum of Fine Arts, Houston to support the 2nd Houston Turkish Film Festival. With a sold out opening night, the festival featured 13 Turkish films and took place on April 11-13. TCF provided continued support through a grant for the fourth annual International Children’s Friendship Festival in Seattle, organized by the Turkish American Cultural Association of Washington. Organized in celebration of Turkish National Sovereignty and Childrens’ Day (23 Nisan), the festival has developed into an international event in Seattle. This year the festival took place from April 12-13 at the Seattle Center. A major TCF grant underwrote the 6th Nazım Hikmet Poetry Festival and competition organized by the American Turkish Association of North Carolina. TCF has underwritten this event since its inception. The Festival was held on April 13at the Page Walker Arts & History Center in Cary, North Carolina. Bringing together poets, scholars and members of the community in celebration of poetry, the festival is held each year in tribute to the life and poetry of Nazım Hikmet, who is widely regarded as the greatest contemporary Turkish poet. Every year, the festival focuses on a poet with international stature. This year’s festival honored Irish poet Seamus Heaney, a poet and playwright and the recipient of the 1995 Nobel Prize in Literature. The heart of the festival is the poetry competition, which is open to poets from all around the world. In 2014, the competition received over 1,000 submissions from 365 poets. Finalists of the poetry competition attended the festival and read their poetry alongside other noted poets. The festival also organizes a Turkish poetry translation initiative, which resulted in the translation into English Melih Cevdet Anday’s poems by Sidney Wade and Efe Murad; Sami Baydar’s poems by Murat Nemet-Nejat; Behcet Necatigil’s poems by Hatice Orun and Jeffrey Kahrs and Murathan Mungan’s poems by Aron Aji and David Gramling. poets and friends of Heaney; Rand Brandes, biographer of Heaney. TCF awarded a grant to the American Turkish Association of Southern California, ATA-SC to underwrite a commemorative event celebrating the life and achievements of Mustafa Kemal Atatürk on November 10, 2014. The event was attended by over 100 participants and took place in Carson, California. TCF also provided a grant through ATA-SC to Turkish Radio Hour based in San Francisco and broadcasting on San Francisco community radio every Saturday. Produced by a volunteer Turkish American team, the program features information on Turkey, Turkish culture and art, business and scientific interests. It can be listened to live online and from its archives. TCF provided a grant to the American Turkish Friendship Council-ATFC to underwrite a Turkish movie night and fundraiser in support of the organization’s charitable projects in Turkey. The event took place on December 6 in Atlanta and featured the movie, Kelebeğin Rüyası-A Butterfly’s Dream. Proceeds from the night benefited the Multi-Purpose Community Centers (Çok Amaçlı Toplum Merkezleri), which operate in cooperation with the Southeast Region Development Project-GAP and UNESCO in the Eastern and Black Sea regions of Turkey, working on local capacity building and women and children’s services. A TCF grant to Makam New York helped underwrite the Third Annual Turkish Music Institute Workshop. The workshop was held in New York City on May 2-6, 2014 at Columbia University. Sponsored by TCF for the third year, this intensive workshop provides musicians the opportunity to learn Turkish classical music from its finest practitioners. This year’s workshop opened with a concert at the Leonard Nimoy Thalia Symphony Space on Broadway. A major TCF grant also supported Makam New York in its “Pearl Beneath the Sea” project. 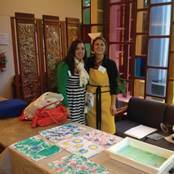 As part of the project, Ahmet Erdoğdular, President of Makam NY, spoke about “Music of the Ottoman Empire” at Columbia University where Ms. Eda Özbekkangay, an Ebru artist, also presented a workshop on Ebru. On November 19, a concert took place at Kaufman Music Center, featuring music by Ahmet Erdoğdular, Ara Dinkjian, and Ali Osman Erdoğdular, accompanied with dance by Khadija Radin and an Ebru visual art presentation by Eda Özbekkangay. 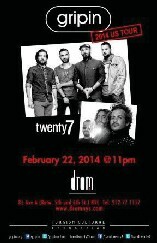 For the second year, TCF provided support to promote Turkish rock music in the United States by sponsoring Gripin, a leading Turkish rock band, and Los Angeles based Turkish American rock band, Twenty7. The tour included concerts in Boston, New York, Washington D.C., Philadelphia, Chicago, Seattle, San Francisco, Los Angeles, San Diego, and Dallas. Gripin also performed at the SXSW Music Festival in Austin, Texas. The tour was widely covered in the Turkish mainstream media and followed on social media. 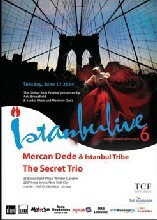 For the sixth year, TCF sponsored İstanbulive, a celebration of Turkish contemporary music in the U.S. After several years of presenting Turkish contemporary music to New Yorkers, İstanbulive6 was designed as a traveling Turkish Rock showcase, which took place from June 15-26, 2014 and featured Mercan Dede and İstanbul Tribe. The groups performed at the first Turkish Rock showcase at the Mod Club Theater in Toronto, followed by performances in New York City at the Global Beat Festival, in Chicago at the Old Town School of Music and in Cleveland at the Cleveland Museum of Art. The festival was produced by New York based Serdar Ilhan and Mehmet Dede Productions. TCF for the third year in a row awarded a grant to NY2Dance, a non- profit arts organization led by Turkish American choreographer and dancer Nejla Yatkın. The 2014 grant assisted the creation of an inspired choreography that accompanied “Anatolian Inspirations”, a concert by the Modern Works Ensemble on March 6 at the Smithsonian’s Freer Gallery of Art in Washington, DC. The concert featured works by Turkish composers and was organized on the occasion of Turkish photographer Ara Güler’s exhibition at the Freer Gallery, “In Focus: Ara Güler’s Anatolia.” Nejla Yatkın also presented her solo performance at the International Contemporary Dance Festival in Siberia in late April. TCF continued to provide major funding to art institutions and individuals to promote Turkey’s contemporary arts. Tens of thousands of people visited these exhibitions in 2014, advancing TCF’s mission to promote Turkey’s artistic and cultural heritage and contemporary arts. TCF and Armaggan Art and Design Gallery partnered in the opening of a group exhibition of works by Turkish contemporary artists at the Bene Rialto gallery in New York. 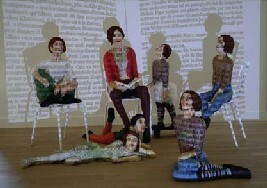 The exhibition featured Aslı Kutluay, Nadia Arditi, Camekan, Meral Değer, Derya Özparlak, Dinçer Güngörür, Ayşegül Kırmızı, Dilek Aydıncıoğlu, Pembe Hilal Tüzüner, Semra Özümerzifon. The opening of the show was widely covered in the media and also featured on Voice of America. The exhibition remained on view from December 12, 2014 to January 15, 2015. Ms.Yasemin Karaca, a student of Visual Communications Design at İstanbul Bilgi University, received a TCF grant to create a video graph exhibition. Titled “Ulviye’s Dream-Ulviye’nin Hayali,” the project took its name from Ulviye Mevlan, an Ottoman era women’s rights advocate, who was the editor of one of the first women’s magazines at the time. The exhibition took place at Bilgi University on June 7 and consisted of short videographs re-enacting scenes that highlighted milestones in women’s rights in recent Turkish history. Having presented the works of 32 Turkish contemporary artists at the Sculpture Objects & Functional Art - SOFA fairs since 2007, TCF joined forces with the ARMAGGAN Art & Design Gallery in this project in 2012. In 2014, ARMAGGAN became the lead sponsor and organizer of the Turkish modern art display at SOFA, as part of its vision to support and promote Turkish artists and designers. 7 Turkish modern artists were selected to take part in the TCF-ARMAGGAN Art & Design Gallery’s exhibition at SOFA Chicago 2014, which took place on November 7-9. 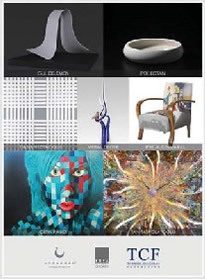 The featured artists were İpek Altunmaral, Gül Delemen, Meral Değer, İpek Kotan, Çetin Pireci, Tan Taşpolatoğlu, and Canan Ustaoğlu. 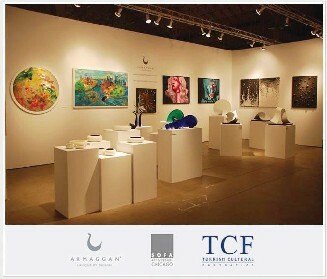 2014 was the eighth year that TCF has sponsored Turkish artists at SOFA and the third year that it has partnered with ARMAGGAN Art and Design Gallery in İstanbul for the event. The SOFA Fair brings together groundbreaking modern artists, sculptors, designers, curators, and collectors from around the world for a series of exhibits, lectures, and discussions and is visited by tens of thousands of art lovers every year.